Healthy gums are an integral part of a smile. You can have sparkling white and perfectly aligned teeth, but if gum disease is present, the stability and strength of your smile are at risk. 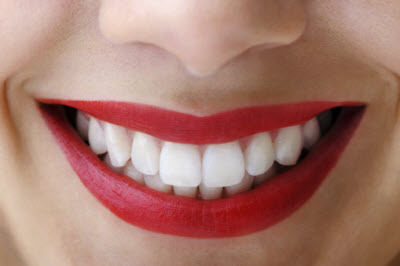 At Adler Dental, we protect your teeth with quality gum disease treatment in Manhattan. Patients who exhibit signs of gingivitis or mild to moderate periodontitis receive comprehensive care from our doctors and team. To schedule your next dental exam or if you have questions about gum disease treatment, contact our office today. Initial signs of gum disease, such as puffy soft tissue and bleeding while brushing, should be taken seriously so you can seek minimally invasive, effective care. If any of these issues are present in your smile, visit Adler Dental for gentle gum disease treatment in Manhattan. Dr. Adler and Dr. Moed are proud to have a team that takes a highly gentle approach tocaring for patients, especially those scheduled for dental cleanings to correct gum disease. During root scaling and planing, the area below the gum line is thoroughly cleaned to remove agents of infection, such as debris and bacteria. The roots of your teeth are also smoothed, making it harder for bacteria to re-attach and cause additional irritation. During treatment, we ensure the targeted area is thoroughly numbed for your comfort. After undergoing a deep cleaning, your gums will have a chance to heal and look and feel healthier. Gum disease treatment is essential in preventing soft tissue recession and adverse effects on teeth and underlying bone. After-care is an equal part of the equation in ensuring lasting wellness. Dr. Adler and Dr. Moed use an antibiotic powder, called Arestin, after root scaling and planing, placing the treatment deep into gum pockets to promote improved healing. Arestin remains active for up to a month, effectively neutralizing harmful bacteria and encouraging healthy reattachment of soft tissue to teeth. Patients who have received gum disease treatment at our Manhattan dental office are encouraged to maintain a more frequent schedule of dental cleanings in the short-term. Instead of visiting once every six months, an exam every three months is recommended to ensure gums remain healthy. After dental health has stabilized, patients can return to their twice-yearly cleaning routine. Ask our Dentists about Gum Care! We support healthy and strong smiles for a lifetime through comprehensive exams and deep cleanings. If you have questions about root scaling and planing as gum disease treatment, contact Adler Dental today for a consultation., We refer complicated cases to trusted local periodontal specialists and provide on-going preventive treatment in our office.